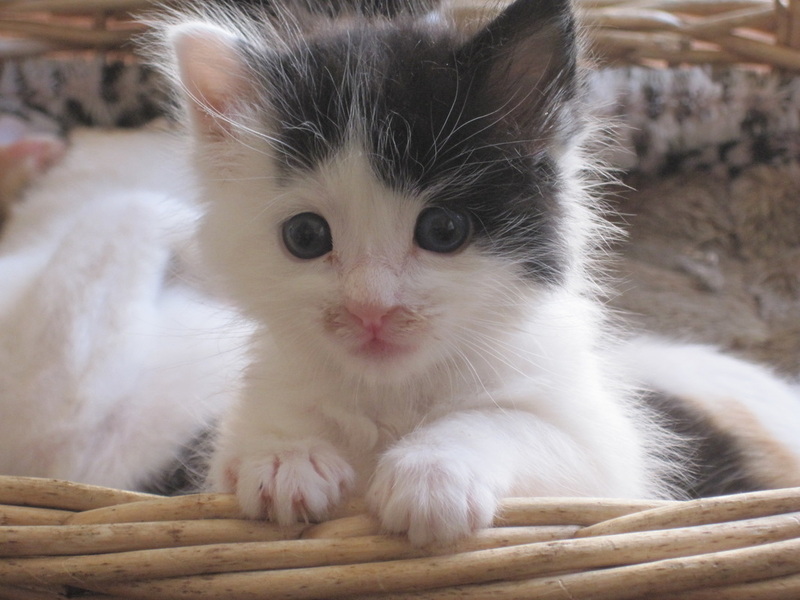 Without a doubt, our little one here is the cutest kitten on the PLANET! Except for Lorelai, his friend below...they are together all the time! 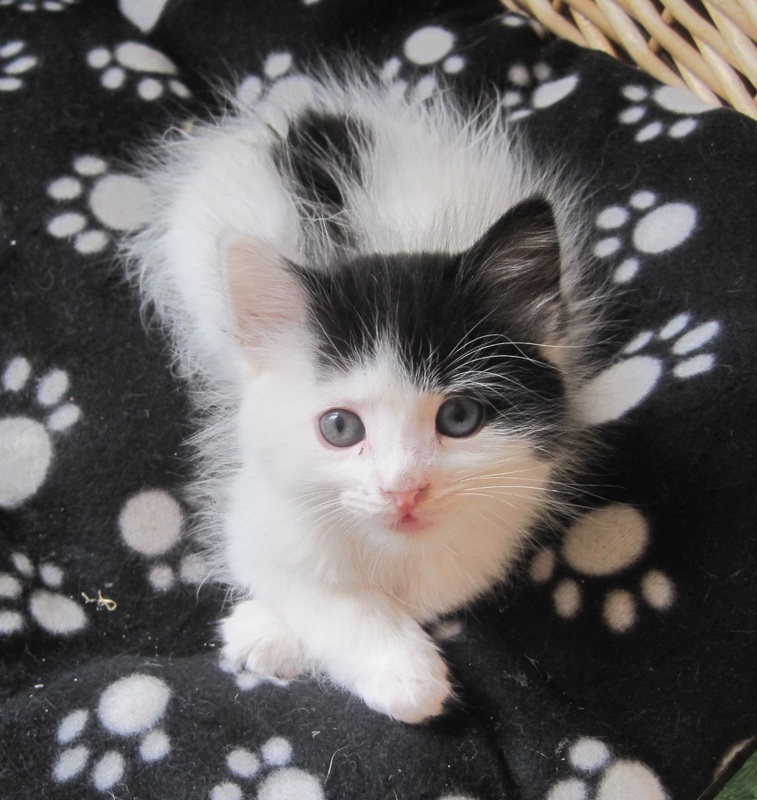 Both came to us as orphans, each about four weeks old when they arrived. they're frisky ans sweet, smart and curious...kittens, in a word. Fabian is a bit bigger than Lorelai, but she holds her own! She is, and will be when grown, a small cat. they love the outdoors, love their raw food and bones, and love all the bigger kittens and cats. they will be old enough to go to their own homes very soon! 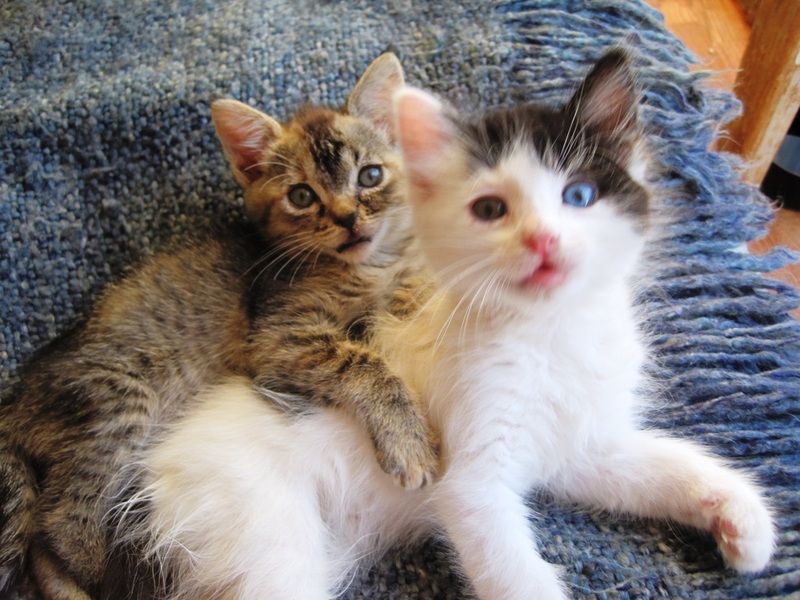 Come meet this fabulous pair...you'll not find more engaging, beautiful kittens anywhere! That's a promise :-) ! They're about the same age, but she's a lot smaller...but growing! I never tire of watching them...and he likes to watch me too! 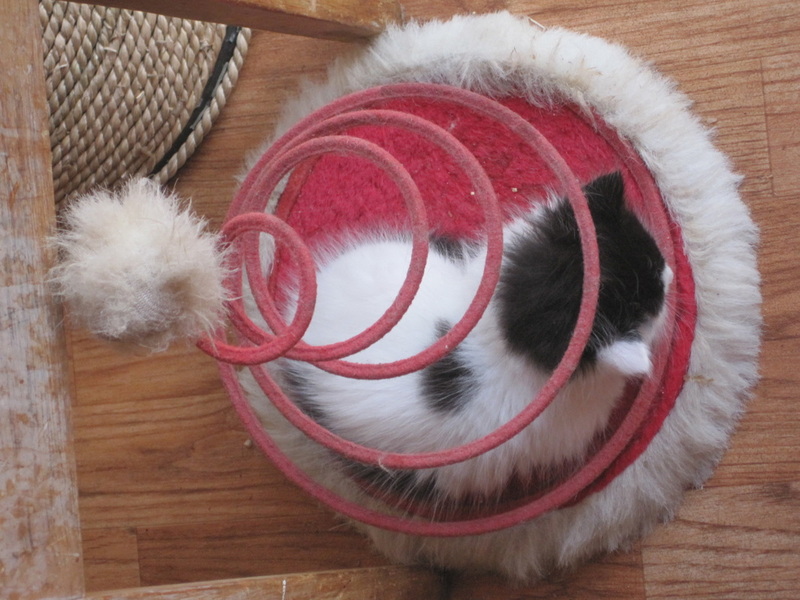 Little boy feels snug and safe in the arms of the fuzzy coil!